A workshop series in mm and sub-mm radiative transfer was started in 1999. These workshops were held in the Bremen area, primarily at Bredbeck. The discussion and work at those workshops had a central role in the initiation and development of the freely available radiative transfer model, ARTS. The ARTS model, the accompanying Atmlab/Qpack tools and, for the first time, the new Python toolbox Typhon were a main topic of the workshop. The second, more general, objective of the workshop is to enhance information exchange and collaboration regarding radiative transfer modelling in the mm and sub-mm frequency ranges. The content of this part depends on active input from the workshop participants. 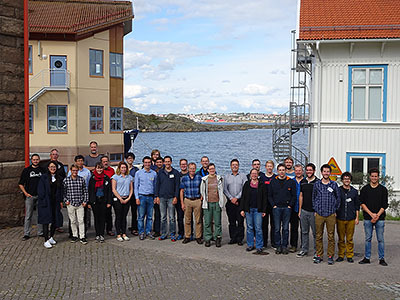 The workshop was held on September 6-8, 2017 at the Kristineberg Marine Research Station. The research station is located about 100 km north of Gothenburg.